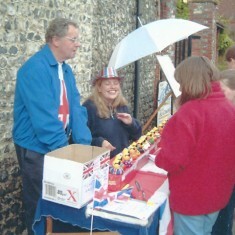 Stall selling ducks for duck race.. 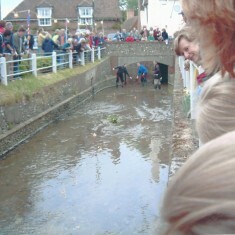 The finish of the duck race. 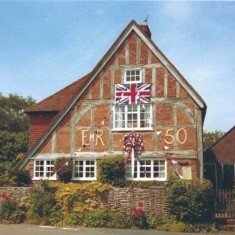 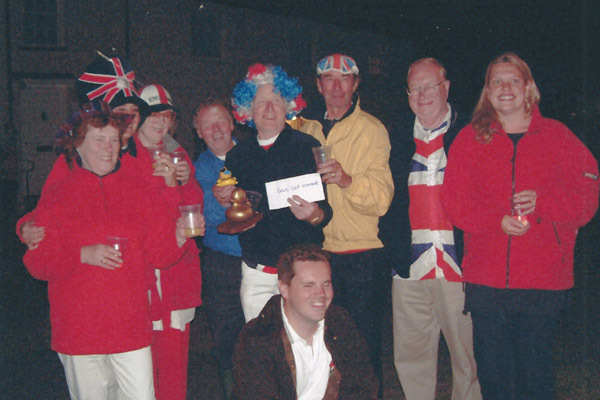 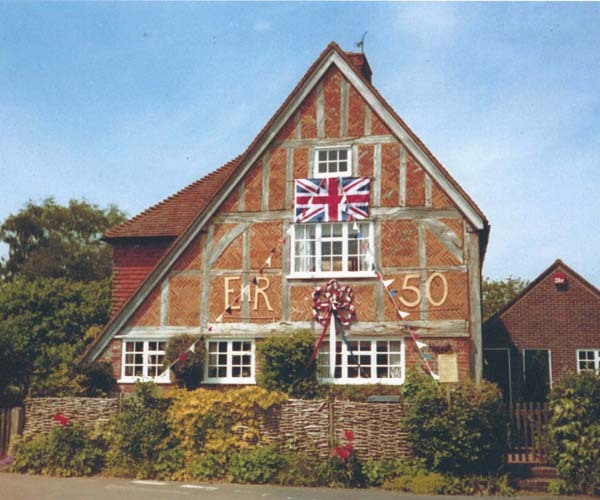 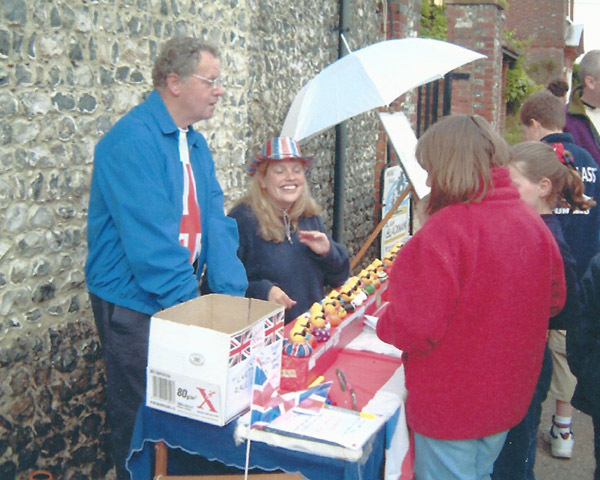 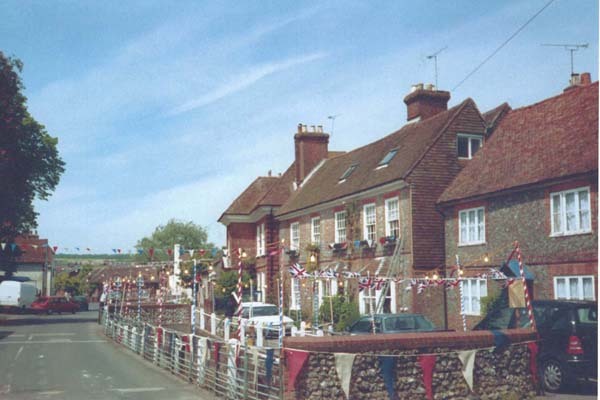 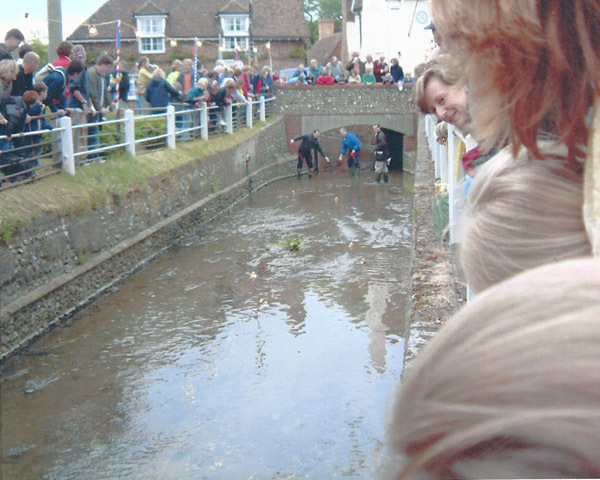 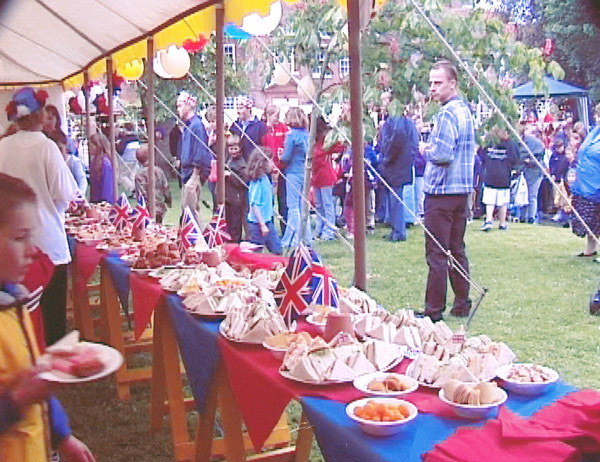 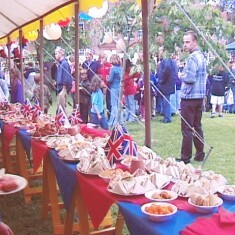 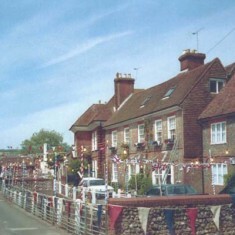 East Meon organised a street party – tea, sandwiches and cakes – and the lighting of a beacon to celebrate the Golden Jubilee of Queen Elizabeth II on June 2nd, 2002. 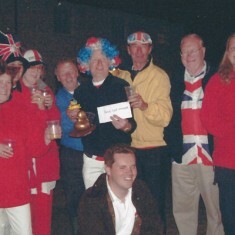 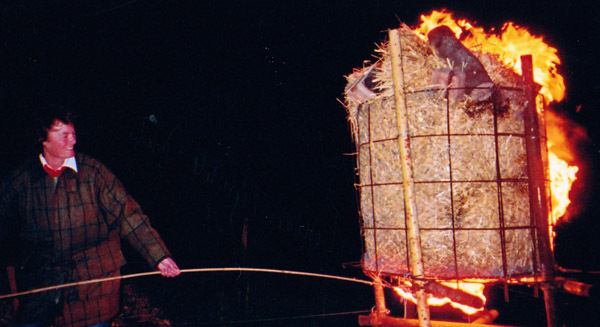 As in the Diamond Jubilee celebrations ten years later, there was a duck race on the River Meon, and a beacon was lit on Park Hill.